Fall: a good time to get into new sports … and sports manga! Now undergoing a full-blown renaissance—thanks to the increasing popularity of sports anime like Ace of the Diamond and even Welcome to the Ballroom (yes! Ballroom dancing is a competitive sport! )—this underrated genre has been bulking up Kodansha Comics's digital-first list. This week's Sports Manga Sale makes it easy to try something new! Read Chapter 1s at the links! All Out!! 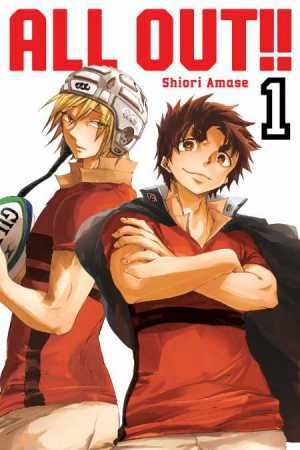 by Shiori Amase is a classic shonen manga about high school rugby. You may recognize this series from the recent hit anime on Crunchyroll. 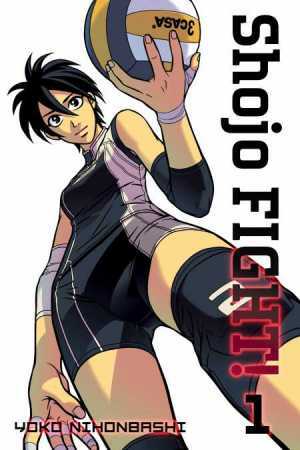 And of course, sports aren't just for boys, either: Yoko Nihonbashi's Shojo Fight! is about the rise of a "formerly underdog" fearless women's volleyball team. This week only, we're putting all the sports manga (including the 2 series that debut today) from Kodansha Comics on sale up to 50% off at all of our digital retail partners: BookWalker, comiXology, Crunchyroll, Google Play, iBooks, Kindle, Kobo, and nook. Sale ends October 2 at 11 p.m. Eastern Time, or for select stores, in local time. Ace of the Diamond —Baseball! Welcome to the Ballroom—Ballroom dancing! Ready, set, GO! Start reading a new sports manga today!